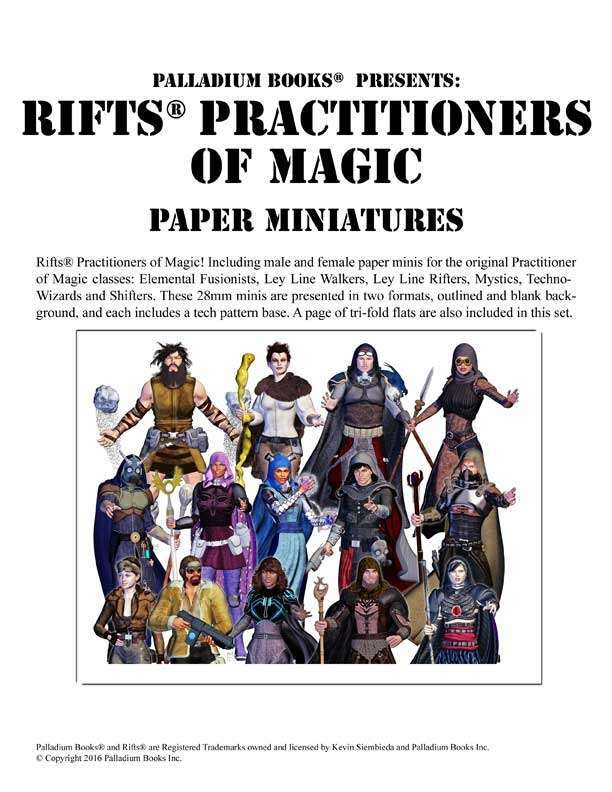 Rifts® Practitioners of Magic! Including male and female paper minis for the original Practitioner of Magic classes: Elemental Fusionists, Ley Line Walkers, Ley Line Rifters, Mystics, Techno-Wizards and Shifters. These 28mm minis are presented in two formats, outlined and blank background, and each includes a tech pattern base. A page of tri-fold flats are also included in this set.